The View from Northern Ireland: The Department of Agriculture and Rural Development (DARD) has announced that licences for the Mourne Herring Fishery will be available from 2 September 2013. Fishing will be restricted to boats not exceeding 40ft (12.2 metres) in overall length using drift nets with a minimum mesh size of 54 mm in accordance with EC Regulation 850/98. Boats of over 40ft (12.2 metres) in overall length are not allowed to take part in this fishery. 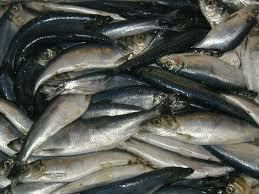 The Mourne herring quota for UK registered fishing vessels in 2013 has been set at 30.5 tonnes. Northern Ireland Fisheries Departments will again allow weekend fishing for Mourne herring. Application forms are available from the local Fisheries Office. All licence applications must be accompanied by a copy of the current Certificate of Registry issued under The Merchant Shipping Act 1995.